This waterfall isn't all that tall or even that impressive, but you can almost drive right up to it. 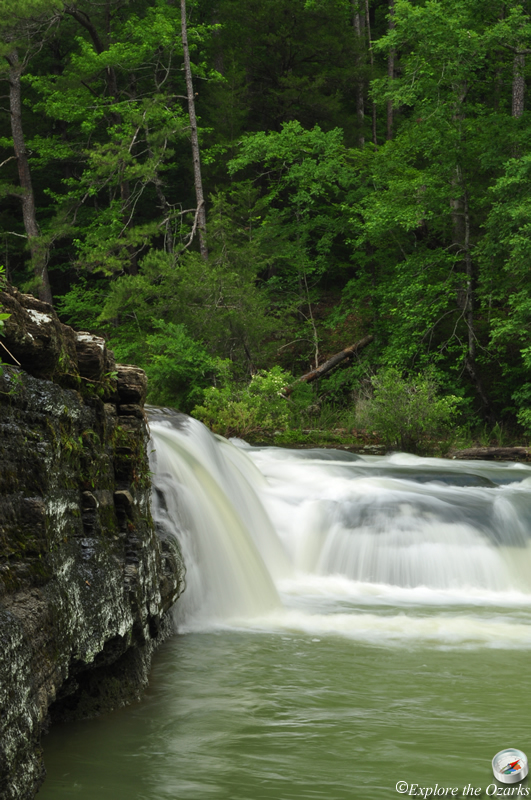 Haw Creek Falls is located at the Haw Creek Falls Campground, in the Ozark National Forest. The campsites offer picnic tables and pedestal grills, plus the campground has a vault toilet. 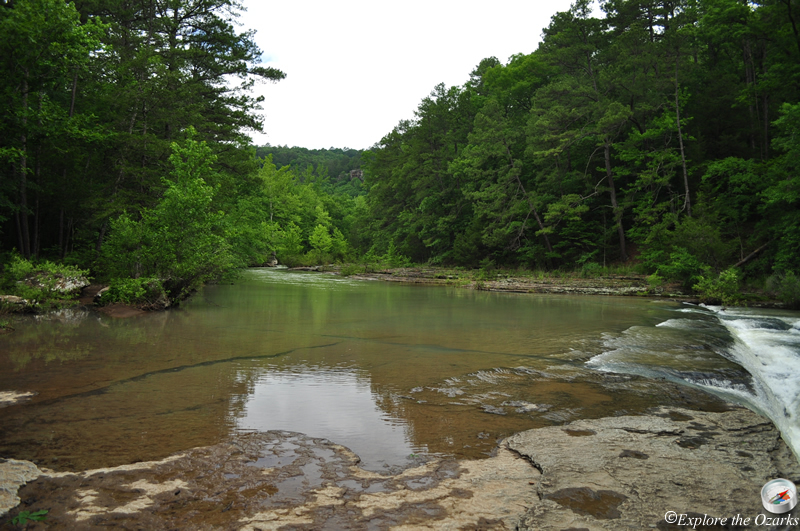 Haw Creek Falls Campground is also located along the Ozark Highlands Trail. 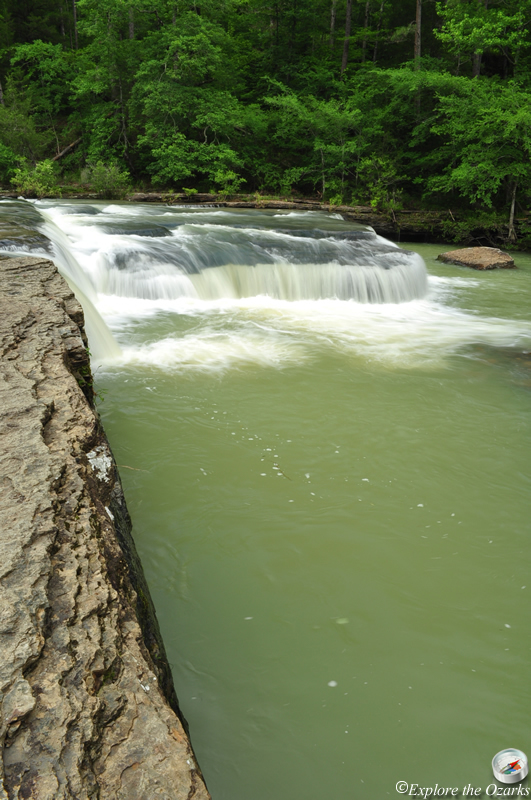 Haw Creek Falls Campground is located on AR Hwy 123, between Lamar (which is near Clarksville) and Pelsor (located on Hwy 7). There will be signs along the highway as you approach the campground. The gravel road into the campground crosses Haw Creek. DO NOT attempt to cross if flooded. 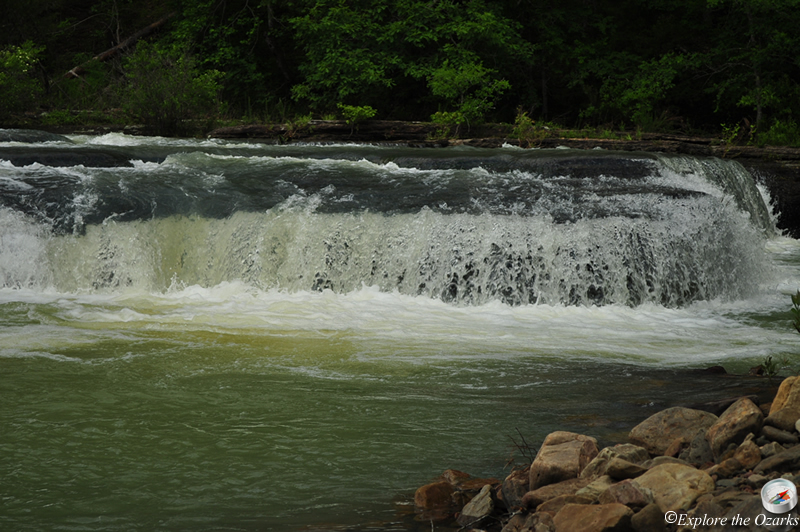 Sometimes, the campground may be closed temporarily due to high water. 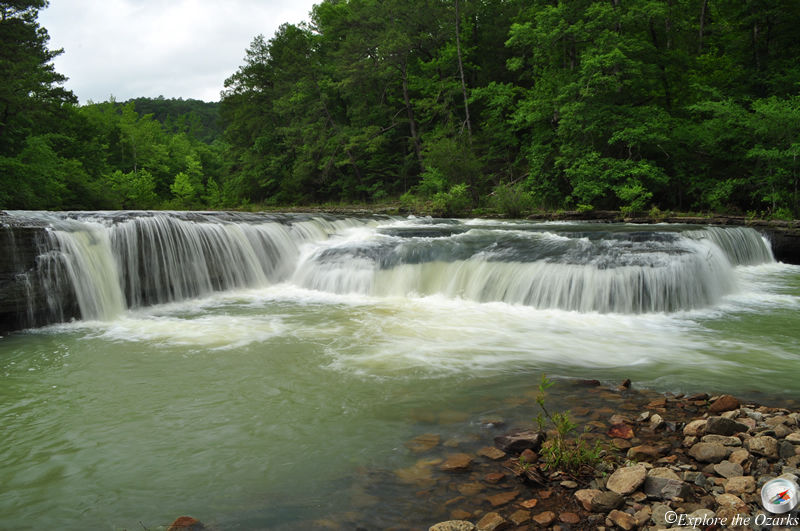 While at Haw Creek Falls, be sure to also visit Pack Rat Falls, accessible from the back of the campground. Also, Pam's Grotto is located just ½ mile east and across the road from the campground.